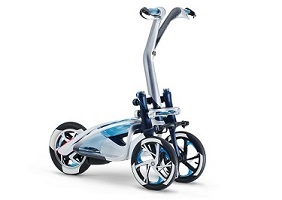 Yamaha Motor to Exhibit at CES 2019, World's Largest Consumer Electronics Show Exhibiting Five Models Including the PPM Low-Speed Autonomous Mobility Service System with Onboard AI Conductor - News Releases | Yamaha Motor Co., Ltd.
IWATA, November 9, 2018—Yamaha Motor Co., Ltd. (Tokyo:7272) announced today that it will exhibit five models at CES 2019, the world's largest consumer electronics show, to be held in Las Vegas, U.S.A. over four days from January 8 to 11, 2019. 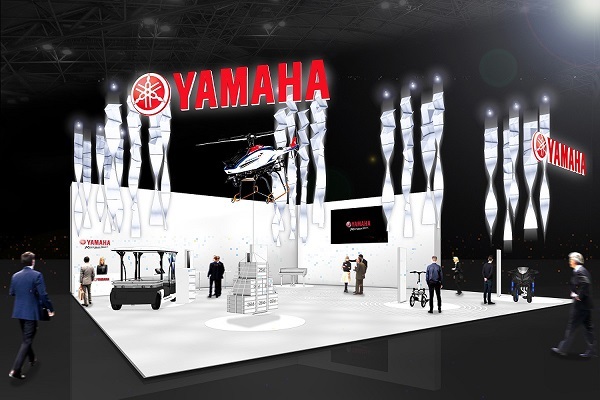 The Yamaha booth will feature a total of five models, including 1) the Public Personal Mobility (PPM), a people service system based on low-speed autonomous driving, which has many potential applications such as in transport infrastructure and business utilization, 2）the next-generation concept model of industrial-use unmanned helicopters, which will have a higher payload to provide unprecedented air solutions, 3) the TRITOWN concept model, which offers completely new electric personal mobility through its two front wheel LMW mechanism, 4) the NIKEN large sports bike launched in 2018, which also utilizes the LMW mechanism, and 5) an installation of artificial intelligence technology developed by Yamaha Corporation, with which Yamaha Motor shares the Yamaha brand. In addition, Yamaha Motor will conduct demonstrations of the PPM featuring an “AI conductor” on the dedicated paths adjacent to the venue during the period of the tradeshow. PPM is a form of comfortable and convenient on-demand compact low-speed mobility for “one-mile” short-distance travel. Its simple construction enables customization for a variety of applications, such as transportation of passengers, and/or cargo, or further conversion into a mobile sales kiosk. In anticipation of further future autonomous travel, provisions for a variety of user-friendly mobility service applications will be showcased such as the AI-based facial recognition registration and communication between the vehicle (robot) and the passenger (human). During CES2019, Yamaha Motor will conduct demonstrations of the PPM featuring an “AI conductor” on the dedicated paths adjacent to the South Hall which houses the Yamaha Motor booth. After facial recognition registration on devices provided at the Yamaha Booth or the boarding point, the passenger can control the specific AI conductor on their demonstration vehicle. In addition, the AI conductor controls the start and stop of the vehicle through the passenger’s gestures. Visitors can experience the future of personal travel made possible by the Yamaha autonomous systems. Building on Yamaha Motor's 35 years of experience in industrial-use unmanned helicopter, this concept model features series of innovations that enables the payload of 70kg, double that of the latest model. Flight controls will also be updated to feature latest technology such as collision avoidance ,stable flight in atmospheric turbulence, and terrain following flights in mountainous areas. 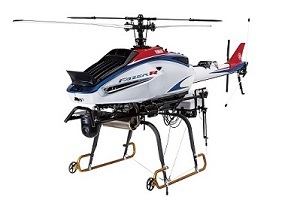 In addition, utilizing its autonomous flight capabilities, this model can provide unprecedented air solutions for a range of applications such as aerial delivery, measurement, inspection, aerial photography, and surveillance through attachment of application-specific equipment. New model LMW with an 845cm3 liquid-cooled in-line three-cylinder engine. 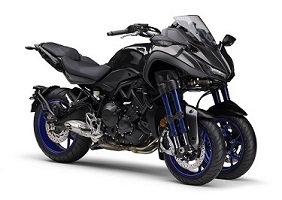 The NIKEN is a next-generation LMW that provides advanced LMW technology with a combination of unwavering cornering capability supported by a sense of stability, and a high-quality cruise performance that maintains rider comfort even over long distances. By adopting a new and exclusively-developed steering mechanism, not only is the sense of stability unique to LMW, but also sporty and smooth cornering as well as a natural steering feel are provided. In addition to the sense of stability, with the introduction of a range of other control technologies, NIKEN owners are treated to a relaxed ride even during long distance touring. 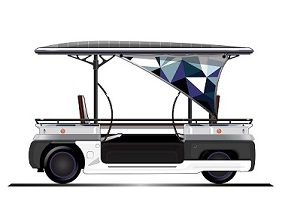 This new model enables the riders to enjoy both the trip to the destination and also after arriving at the destination.